Seattle Dishwasher Repair | Call us or use our convenient contact form today, and we’ll respond quickly to your need for Seattle dishwasher repair or repair to any of your home appliances. 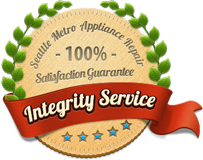 For Seattle dishwasher repair, Seattle Metro Appliance Repair is the trusted choice. Our approach is simple. Our skilled and experienced technicians provide fast appliance repair service at affordable prices. Your satisfaction is guaranteed. Here’s why it makes sense to choose us for ALL your appliance repair needs. Our goal is to be the only Seattle appliance repair company you ever need. To this end, we repair all major appliances in your home. When you need repair to your refrigerator, freezer, ice maker, wine cooler, dishwasher, range, stove, cooktop, oven, disposer, compactor, clothes washer or clothes dryer, call Seattle Metro Appliance Repair, and we’ll be on the way with service you can trust to get it done right the first time. There’s a fantastic chance we’ll be able to provide you with Seattle dishwasher repair or repair to any major appliance. 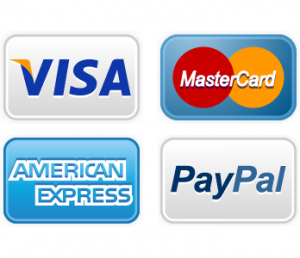 We’re certified to repair GE, Maytag, Whirlpool, Samsung, Viking, Asko, Sub-Zero, Admiral, Caloric, Dacor, DCS, Gibson, Hotpoint, Thermador, Fisher & Paykel, Haier, Gibson, Kenmore, Jenn-Air, Amana, Frigidaire, ASKO, KitchenAid, LG, Wolf and more. Call us or use our convenient contact form today, and we’ll respond quickly to your need for Seattle dishwasher repair or repair to any of your home appliances. Our goal is to quickly diagnose the issue, discuss the problem with you and give you a written estimate, and upon your approval make the necessary repair. Call today, and we’ll be on the way!